A POPULAR Gloucester Road eatery is relocating this month - to accommodate for its high influx of customers. Zazu's Kitchen, which is often heaving, particularly on evenings and weekends, will be moving from its existing premises and into the former Delmonico restaurant - located several feet away. Delmonico closed at the end of September after 13 years on the street. The new restaurant will seat up to 60 downstairs, and 40 in an upstairs private dining room, and the kitchen will be much larger in size. Toby Bywater, co-owner of Zazu's, said: "We needed a larger kitchen to accommodate for our customers - it gets particularly busy at the weekend, and the wait for food can be up to half an hour. "We're going to be simplifying the menu slightly, but still maintaining our high quality of food, and speeding up the waiting time." He added: "Because there will be more space, the new Zazu's will be less hectic, and more peaceful. "A lot of love and care is going into the renovation work, and we can't wait to see it finally finished - it's going to be stunning." Toby says that bookings for the venue, which is set to open in the final week of November, have been coming in already. Zazu's will also be employing the owner of Delmonico, Nick Hennessy, to work as one of their chefs. 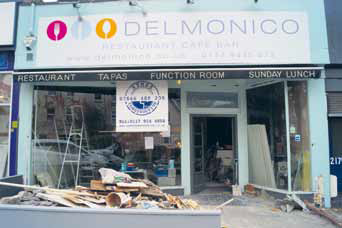 Delmonico posted a note outside the restaurant before it closed reading: "We have decided it is time to hang up the chef whites and say goodbye to Gloucester Road. 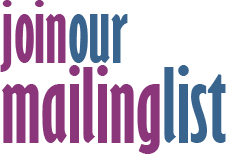 "Good news is that Delmonico has been sold and will become the new location for Zazu's Kitchen. "We would like to thank everyone for their custom over the years, this will be a sad day for all the team and family of Delmonico, but we feel lucky to have been around for over 13 years." It was only this summer that the team behind Zazu's Kitchen and The Greenbank in Easton opened their second pub, The Grace, on Gloucester Road. The new venue has proved a success with the local community, accommodating for a clientèle outside the 18-25 age bracket.